Experience Nashville and view Music City from a traditional San Francisco style trolley. See more than 100 points of interest with 16 stops. Your pass may be used over the course of 2 consecutive days. 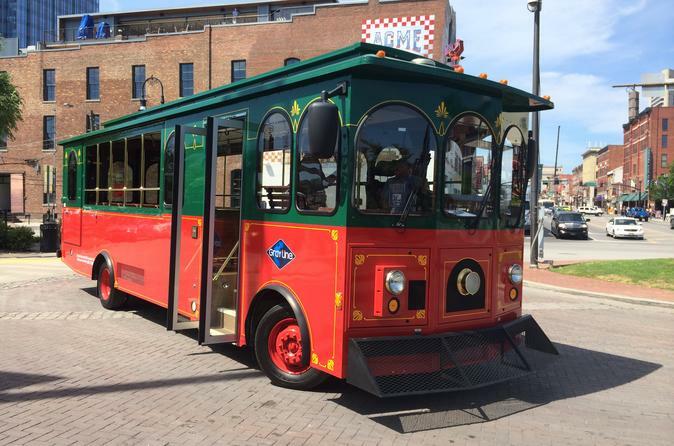 Check out the Music City at your own pace with Nashville's Hop-on, Hop-Off tour featuring a traditional San Francisco style trolley. Hop on and off throughout the day and enjoy all Nashville has to offer. Stop #1 is Riverfront Train Station at 108 1st Avenue South and hop off wherever you like. If you are looking for flexibility to experience Nashville on your terms, this is it! This tour runs between 9am and 5:30pm with 16 stops and over 100 points of interest, led by a fun and informative driver/guide. The last tour departs Stop #1 at 4pm from Riverfront Train Station.